There have been classes in environmental design since the Industrial Design department was formed in 1931. Art Center did not start using the term “environmental design” until the early 1970s, but instead used terms like “interior space design,” design for merchandising,” and “specialized structures.” Today our Environmental Design Department describes the program as “focus[ing] on the design of the total spatial experience—from the first moment of encounter to the last moment of interaction.” Below are some early photographs from classes in environmental design. 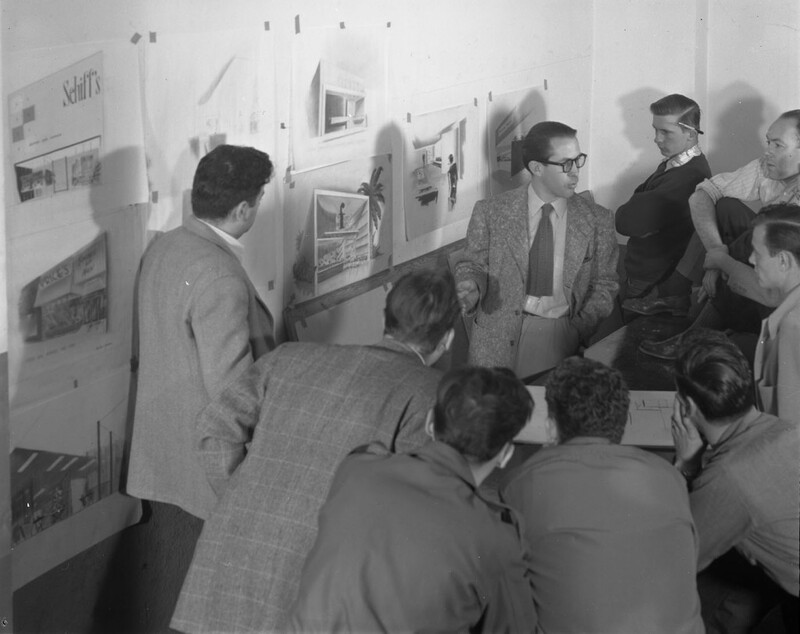 Sterling Leach instructing a group of students, circa 1949. (2004.20.605). Art Center College of Design. 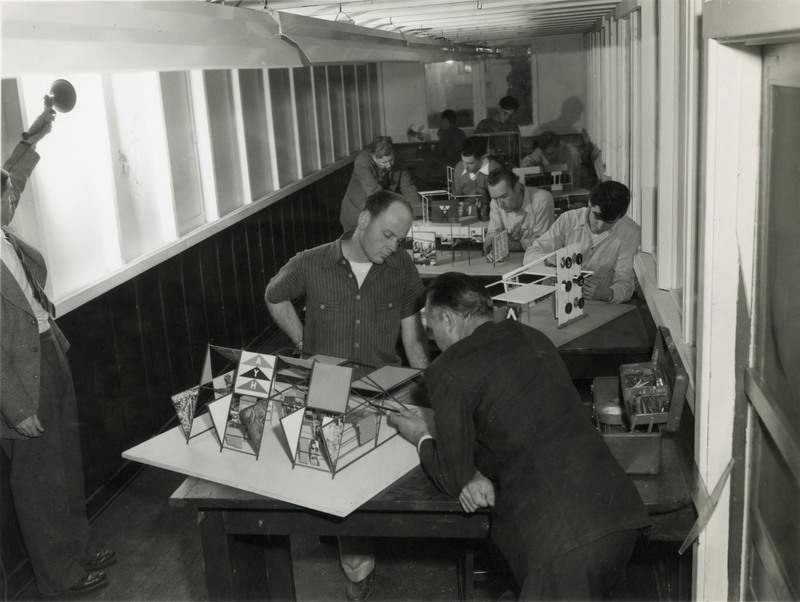 George Jergenson critiquing a student’s work of an exhibition model, circa 1949. (2004.20.595). Art Center College of Design. 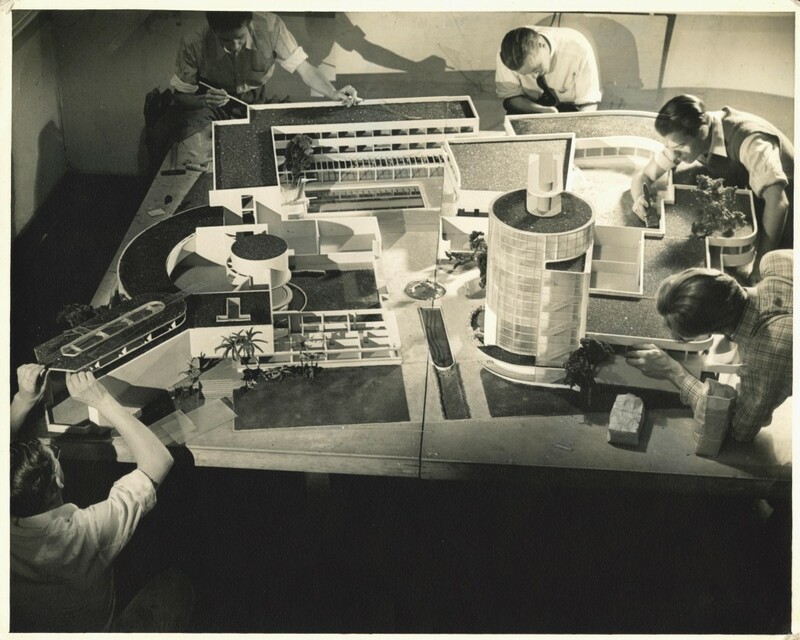 Students working on an architectural model of the class project taught by Kem Weber to design a new campus for Art Center, circa 1937. (2003.1.21). Photography by Irene Vermeers. Gift of Irene Vermeers (PHOT 1937). Art Center College of Design. By Robert Dirig in Uncategorized on April 29, 2014 .